1 January 1901 to 4 November 1911. 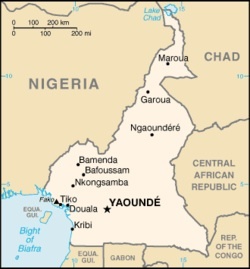 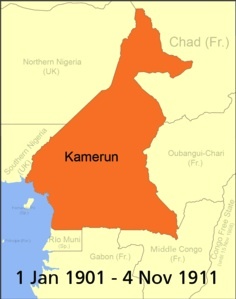 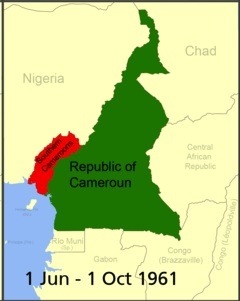 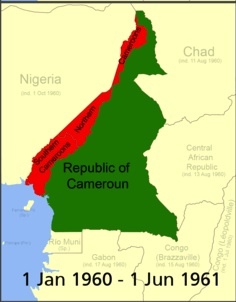 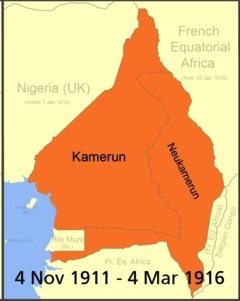 1 June to 1 October 1961 - show the territorial borders of Cameroon during this time. In 1972 French and British Cameroon merged to form a Federal Republic of Cameroon and the map of Cameroon Africa changed again as shown in the map labelled 1 October 1961 to 2 June 1972.